For Boeing the 787 Dreamliner would appear to be Conrad's quote made real. But perhaps, just perhaps, Boeing are architects of their own downfall, their hubris and arrogance finally coming back to bite them. 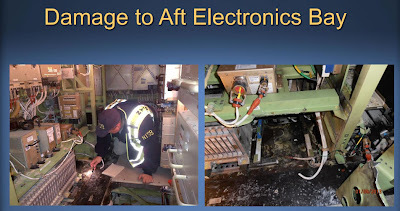 Now certainly the 787 would appear to be a masterpiece of technological advancement, but with the whole fleet grounded and investigators still unclear as to why the batteries keep catching fire, perhaps there are more fundamental reasons that mere tech? For example, if we look back to 2009 it would appear that the FAA have given Boeing significant authority to self-certify their own aircraft as airworthy. Now no one would imagine that Boeing would deliberately cut corners, but with MBAs running technical departments, there is more than just a weather eye on the bottom line, and financial pressures can lead to oversight. So why would the FAA grant such powers to Boeing? I doubt it is down to any form of back-handers passing between the two bodies. More likely we're just looking at the FAA once again siding with the industry over the public (look at the origins and background to the NTSB for more evidence). Back to the batteries; li-ion rechargeable batteries have form in the area of spontaneous combustion. There was the case of the flaming iPods or Dell's burning batteries. Heck, even Boeing has had problems with the damn things during testing. Now a fundamental problem with Li-ion batteries is that they can liberate oxygen from their own combustion products, so simple foam or inert gas extinguishing systems aren't going to cut it. Instead you're looking at heavy smothering agents (sand would work well, but not at 20,000 feet!!). There are safer battery alternatives such as NiMH or LiFePO4, but they weigh more and the Dreamliner's big selling point is fuel efficiency which means cutting as much weight from the design as possible. In the meantime the NTSB, Boeing, GS Yuasa and other involved parties will keep looking, and the Dreamliners will gather dust in hangers. Chairman Hersman also expressed concerns about the adequacy of the systems to prevent such a fire from occurring. "The investigation will include an evaluation of how a fault that resulted in a battery fire could have defeated the safeguards in place to guard against that," said Hersman. "As we learn more in this investigation, we will make recommendations for needed improvements to prevent a recurrence." 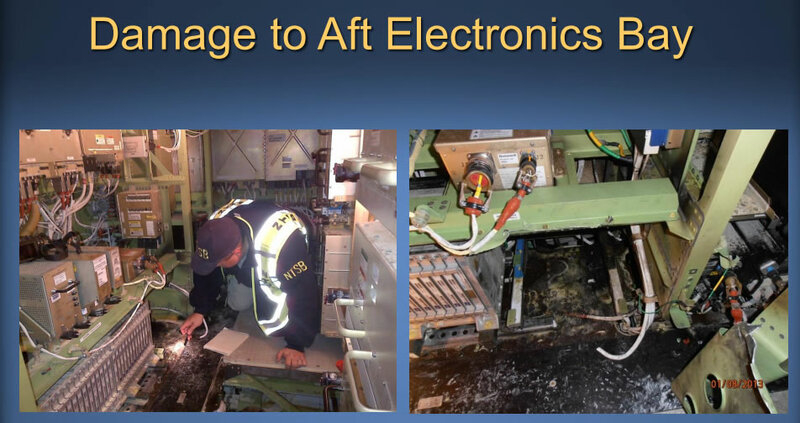 - NTSB Chairman says 'We have not ruled anything out' in investigation of Boeing 787 battery fire in Boston. 7 Response to "A dream and a fear"
dream, dream and a fear! thanks!